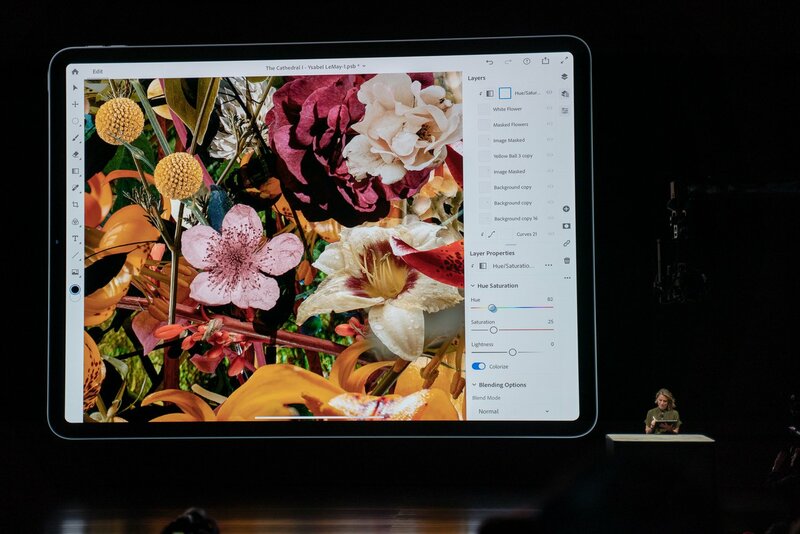 Adobe took the stage today during Apple's iPad Pro presentation to show off the first live demonstration of the full version of Photoshop on iPad, and it was pretty impressive. Apple and Adobe continue to refer to the app as "real" Photoshop when discussing the upcoming app, which they did during this presentation. 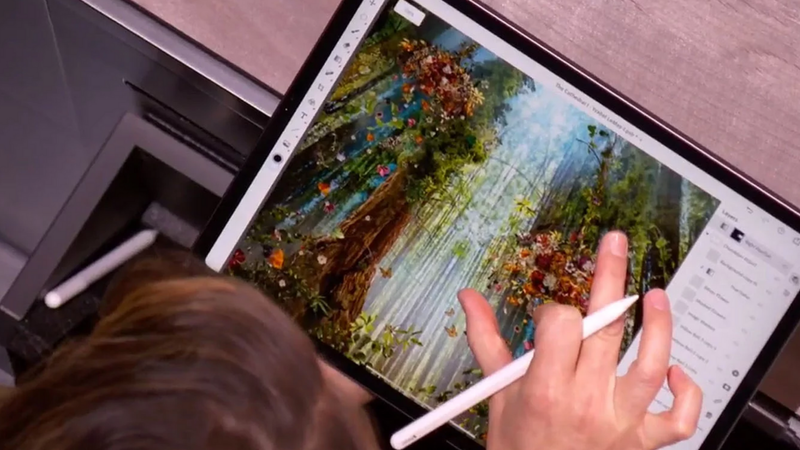 An Adobe representative zipped through some quick adjustments and intuitive edits using the Apple Pencil on the new iPad Pro. It made editing a file with nearly 200 layers a snap, with no sign of a slog whatsoever on the tablet. The presentation then shifted to the previously-announced Project Aero, a feature that allows artists to take to Photoshop and create augmented reality experiences that can bring their artwork to life. The new augmented reality software from Adobe was announced this past June, but until now we hadn't heard much about it by way of how users could set it up with their iPad Pro and bring the tech together with Adobe Photoshop. You can request early access to Project Aero, as it will be integrate with the popular Adobe Creative Cloud. The new iPad Pro is out next week, and you can pre-order it now. Will you be picking one up to utilize this powerful version of mobile, "real" Photoshop?